“Besh Birders” refers to Besh Barmag, a sacred mountain in Azerbaijan. 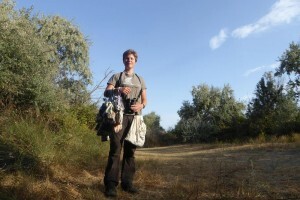 This unique place has become a key region for all team members in the course of their birdwatching careers. The very idea of forming a team for Champions Of The Flyways arose there, right at the shores of the Caspian Sea, while watching migrating larks and buntings. Though born in different places all over Germany all of the team members spent a part of their lives in the small city of Greifswald in Northeastern Germany close to the Baltic Sea. Pia, Christoph and Michael still live there and enjoy the great birdwatching opportunities on their doorstep, while Manuel now has to deal with the birding sites of the huge urban jungle called Berlin. Even though half of the team hasn’t been to Israel prior to this trip, they are keen on creating a lasting impression in the COTF – and first of all they’re looking forward to having a great time while birding in the desert! Let’s get it started! 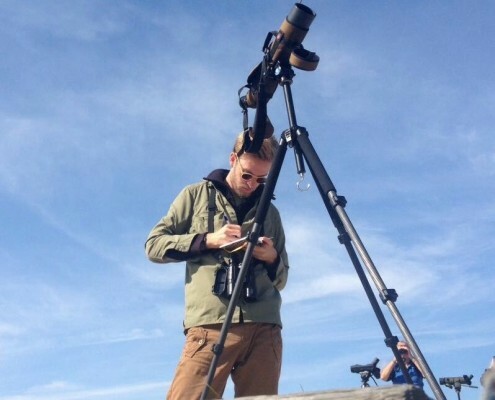 At the age of 11, Manuel Tacke was far from truly understanding how much Birdwatching connects people – and how many likeminded humans and great places one gets to discover through it. At that time he knew no more than 2 other people who also liked to watch birds. 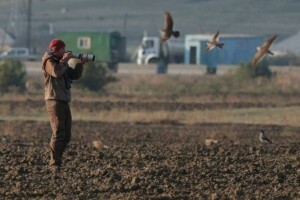 Because of taking part in bird migration counts in Georgia and Azerbaijan and nature conservation projects in many other places this has changed completely over the years. 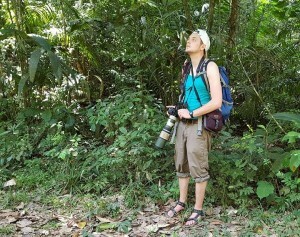 He now passionately works for NAJU, a youth environmental association in Berlin that deals with environmental education and nature conservation campaigns.